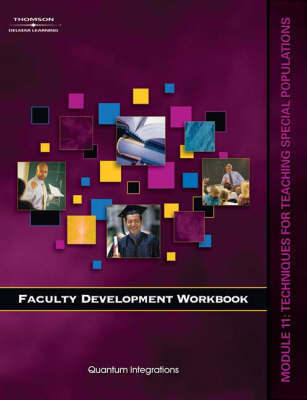 Module 11 discusses several types of special populations that may be found in the adult learner and college classroom. It provides a description of the population, strategies for providing an effective education to those students, and other related considerations such as laws, adaptations, and motivations. Populations include students with physical disabilities, students with sensory and cognitive impairment, students with socio-emotional and psychological issues, and cultural awareness and diversity issues. It also includes: section 1: an overview of special populations in the college environment; section 2: physical disabilities; section 3: sensory and cognitive impairment; section 4: socio-emotional and psychological issues; and section 5: cultural considerations and diversity.